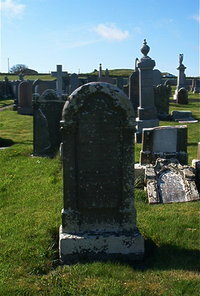 Angus McLeod F C Ruling Elder Roster died 3rd January 1870 aged 80. Wife Christina McKenzie died 18th May 1870 aged 81. Son William McLeod died at Hillhead Stirkoke 3rd October 1910 aged 81. Wife Janet Bremner died 19th December 1921 aged 86.